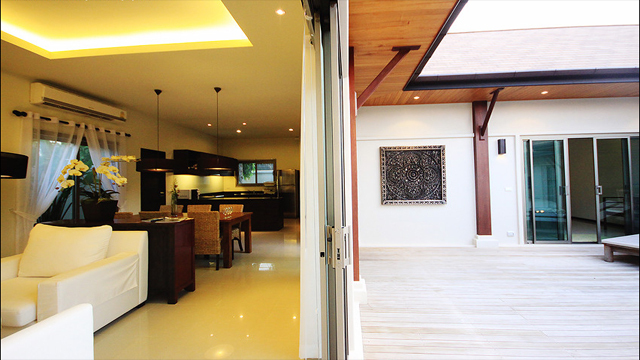 Beautiful villa situated in Phuket, a haven of peace and tranquility, at only 5 minutes drive from Naiharn and Rawai Beach. 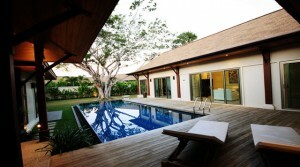 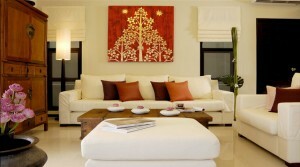 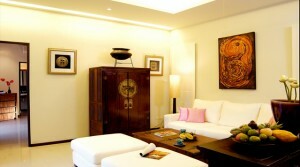 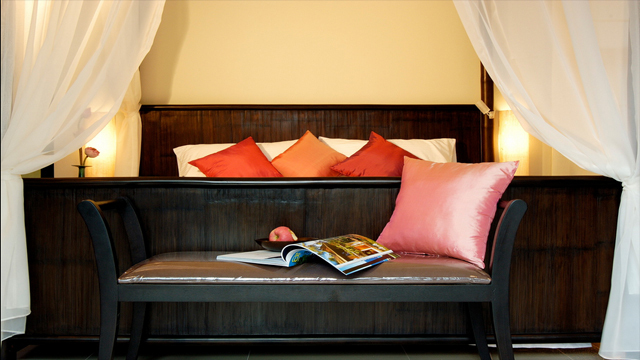 Charming villa in Phuket, a 5 minute drive from Naiharn and Rawai Beach, can accommodate up to 6 people. 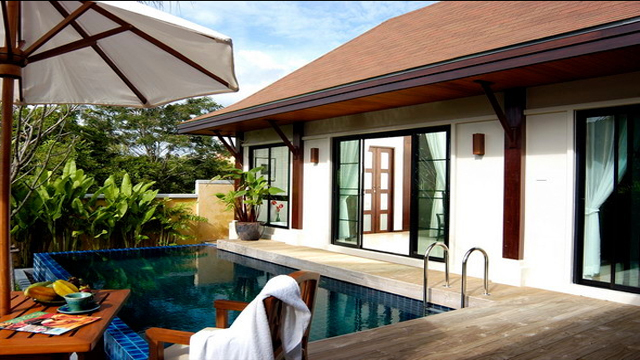 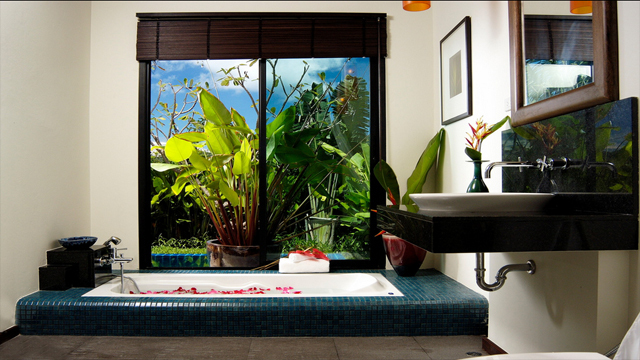 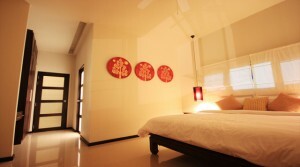 Phuket International Airport is at 45 minutes drive, and downtown Phuket is 20 minutes away. A free shuttle bus to the beach is at your disposal. 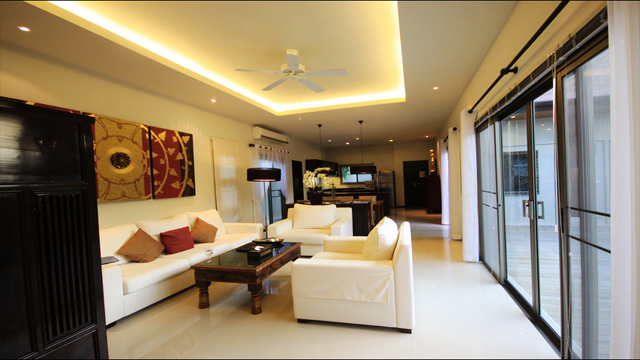 Villa Rumba is composed of a main living area with a fully equipped American kitchen, a dining area, and a comfortable lounge with large bay windows that opens onto the terrace and swimming-pool. The private pool, bordered by a wooden terrace with sun loungers is ideal to enjoy the warm sun of Thailand, after a refreshing swim. You will also be able to enjoy your meals outdoors, under the gazebo by the pool. 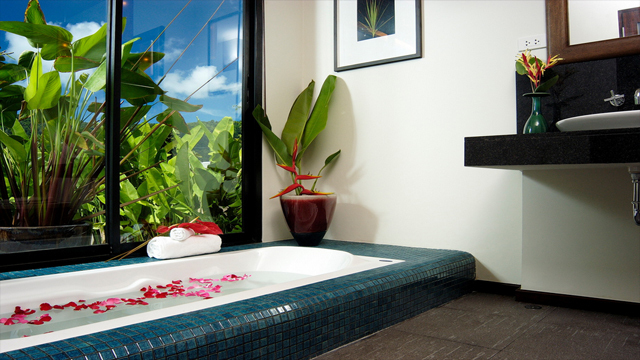 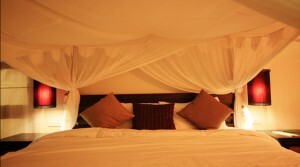 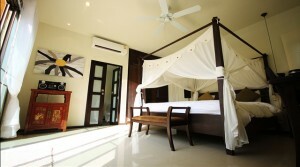 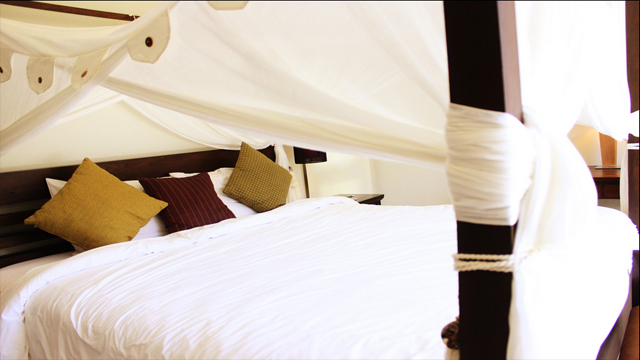 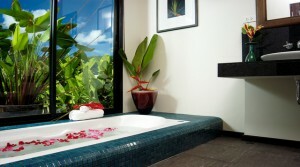 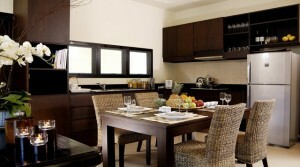 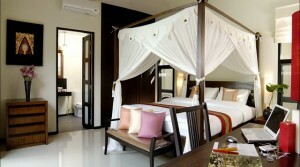 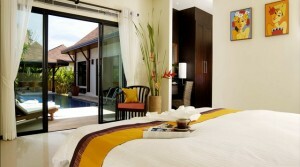 The villa counts 3 air-conditioned bedrooms, surrounding the pool, and each with its private bathroom. 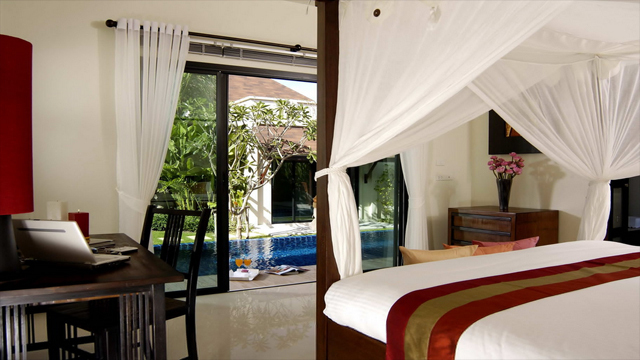 The master bedroom has a sunken-bath, looking onto the pool and garden. 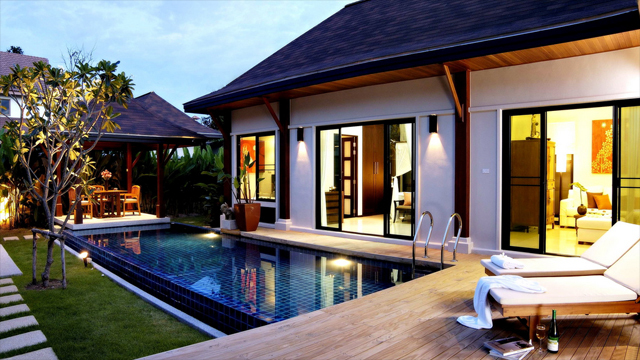 It is possible to rent the villa with only 1 or 2 bedrooms. 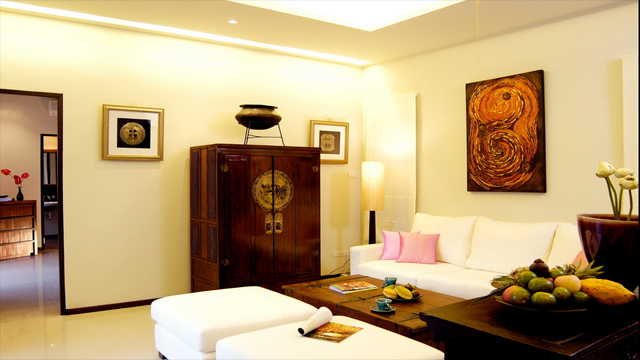 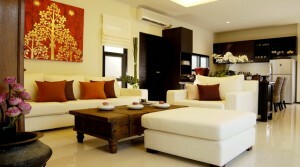 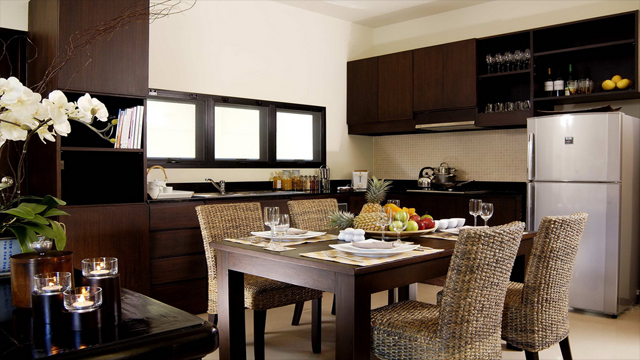 This villa has all the comfort and modern amenities that will make your stay unforgettable.